Russia, Saudi Arabia, Qatar, and Venezuela held talks on the current oil market situation in the Qatari capital of Doha on February 16 and agreed to proceed with the output freezing initiative if other countries followed suit. The proposal was later backed by Ecuador, Algeria, Nigeria and Oman. Despite a brief rally immediately following the decision, oil prices have so far remained largely unaffected. Since the beginning of October, the price of North Sea oil has fallen by around $17 per barrel. This is tantamount to a daily loss of $21 million for Norway. After 24 years, Denmark will start importing oil again, primarily due to lower production in the North Sea area. Norway has announced a giant investment in Arctic oil development. Despite being only half the initially specified sum, it came as a bitter blow for the country's environmental activists, who recently took the Norwegian state to court over Arctic exploration. For a long time, Norway, Western Europe's largest exporter of oil and gas, has pinned its hopes on the northernmost part of the continental shelf. However, there are several reasons why large-scale production in the Arctic is mostly a pipe dream. Environmental organizations, political heavyweights and former ministers are among the plaintiffs in an unparalleled lawsuit against the Norwegian state in a bid to stop future oil exploration. Earlier this week, Western Europe's leading oil and gas exporter Norway offered a record number of blocks for oil and gas exploration in the Arctic. At the same time, Oslo brushed aside environmental concerns about the risks of drilling in the Arctic's pristine environment. The Russian president underscored the role of Moscow and Riyadh in stabilizing the global oil markets. 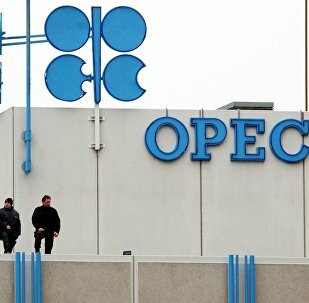 The impressive adherence to the six-month agreement of the Organization of the Petroleum Exporting Countries (OPEC) and 11 other oil producers to cut oil production has not succeeded so far in achieving a sustainable lift of oil prices, experts told Sputnik. 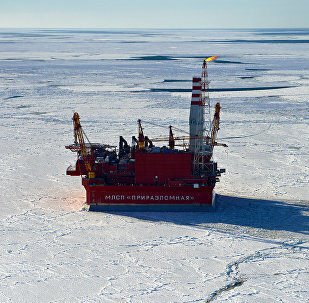 Recently, Norway doubled its estimates of undiscovered oil and gas resources in its region of the Barents Sea in a formerly disputed area bordering Russia. In addition to fueling the debate over whether they should be found and tapped, this news also raised concern about Norway's own safety. Amid the ongoing oil crisis, Norway has decided to invest in the upgrade of existing oil fields to prolong their lifetime. 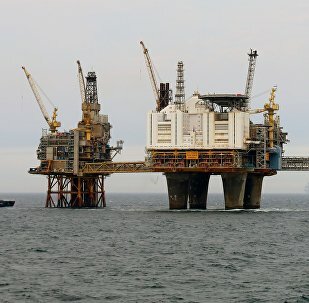 The country's state-owned oil giant Statoil is poised to spend an unprecedented 20 billion NOK ($2.4bln) to extend the life of the decades-old Njord oil field. Russia's budget may additionally get nearly $26 billion this year if oil prices stand at $50-$60 per barrel. The slump in oil prices has been a dramatic setback for oil-rich Norway, one of Europe's biggest oil producers. Nevertheless, the Nordic country's industrial sector would rather have a weak krone than an oil price of $100 per barrel or more. As one of Europe's largest producers of oil, Norway is deeply dependent on international oil prices. So far, Saudi Arabia's gambling with oil prices has had fateful consequences for Norwegian economy. 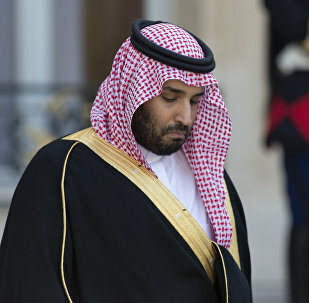 Today, an ambitious Saudi prince is about to decide the future of Norwegian welfare. Oil prices have rallied to levels unseen since mid-2015 after a two-percent surge with the markets buoyed by the oil producers' output cut agreement coming into force in January. It is no wonder that Norway, which is one of Western Europe's foremost oil producers, became one of the countries hit hardest by the oil crisis. The depression is most visible in coastal areas, where an increasing number of oil rigs are being taken out of service and parked ashore. Russia's energy minister said oil prices are unlikely to return to triple digits. The OPEC secretary-general said he is "extremely confident" the oil deal will be implemented in a timely manner. International oil deal and the ongoing selloff in US governmental bonds have resulted in expectations of an almost certain Fed rate hike on December 14, as well as higher US inflation, thus improving the investment appeal of non-financial sector, backed by President-elect Donald Trump’s fiscal stimulus plan. The oil market will be balanced in the third or the fourth quarter of 2017 in case of implementation of the oil output cut deal between OPEC and non-OPEC oil producing states, Russian Energy Minister Alexander Novak said. The dominating price of oil will stand at $60 per barrel following the Organization of the Petroleum Exporting Countries' (OPEC) decision to curb oil production, Russia's LUKoil oil and gas company Vice President Leonid Fedun said Friday.